Availability: This product is discontinued and no longer available for purchase. 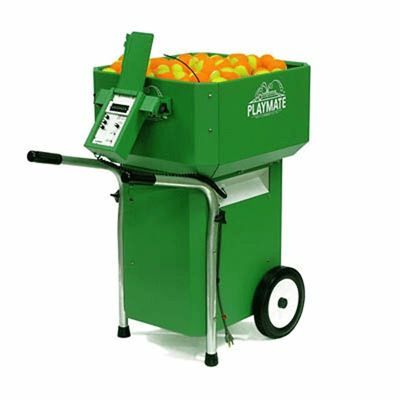 For alternatives browse our Tennis Ball Machines department. The Playmate Smash Tennis Ball Machine is the Rolls Royce of Ball Machines! Built to rigorous standards, this machine is the most advanced worldwide. It has perfectly balanced throwing wheels that allow almost noiseless operation at all times. This outstanding machine is accurate and reliable over many years, and is strongly recommended for large commercial clubs/leisure/health centres. 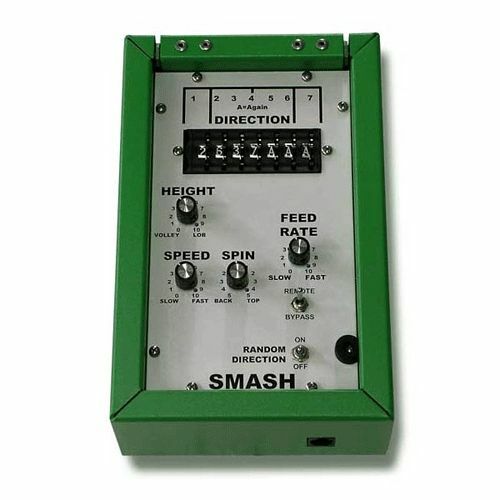 The Playmate Smash also has 7 direction control, random or sequence positioning for complete user variation. Construction – green air craft grade aluminium. for submitting product review about Playmate Smash Tennis Ball Machine.